I am always on a search for a good jumpsuit, but they can be tricky. You you have to think about how it will fit on the top and bottom all in one size. When I saw this jumpsuit on Tobi, (there’s more jumpsuit selections here) I really loved it. I loved the style, I thought the criss cross back was fun, and I liked how it was midi length. When I got it, everything fitted perfectly but the top half. It was too revealing for me. So I did what I loved to do. I layered the jumpsuit so it has a more jumper look. Off the shoulder tops are all the rage now so I layered it with a bardot top. To be honest, I actually like it better layered. I don’t have to feel so self conscious wearing it. If it is your first time shopping at Tobi, don’t forget you can get your first purchase 50% off! 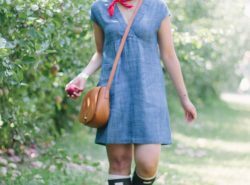 🙂 There are a wide selections of midi dresses, maxi dresses, rompers, skirts, crop tops, and cocktail dresses (hello wedding season!). Cute outfit! 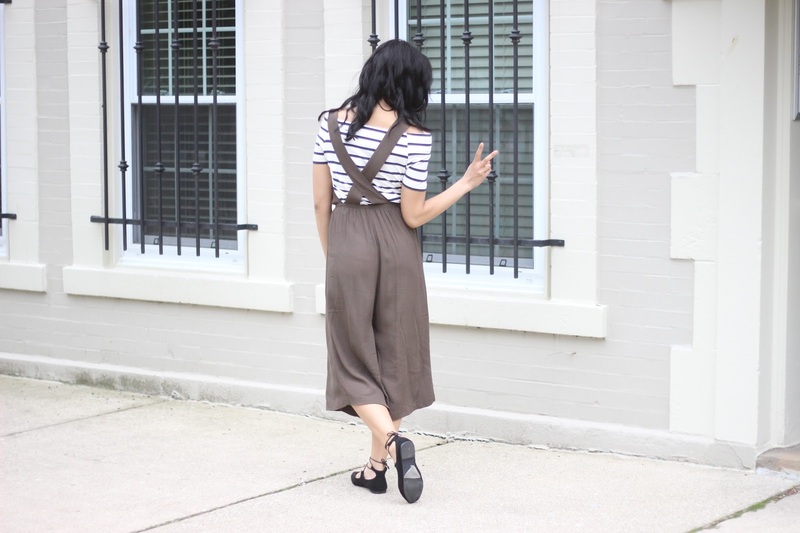 LOVE how you styled that jumpsuit! Great stylin on this trendy piece! What a fun jumpsuit! I usually steer away from ones like this because of the bra issue. Putting an off the shoulder top under it is so smart! Same here! Thanks Amy Ann! Love the jumpsuit, Rach! You always look cute!! Sending you a big hug!! You are always so sweet Vanessa! Awesome loook! Loe your playsuit, you look very pretty in it. Such a lady! I absolutely love how you styled this jumpsuit with an off the shoulder top! So super cute. Hope you had a great weekend! Great colour combination of the jumpsuit. I have a fascination for stripes and it looks great for the complete set. You're adorable, Rach! 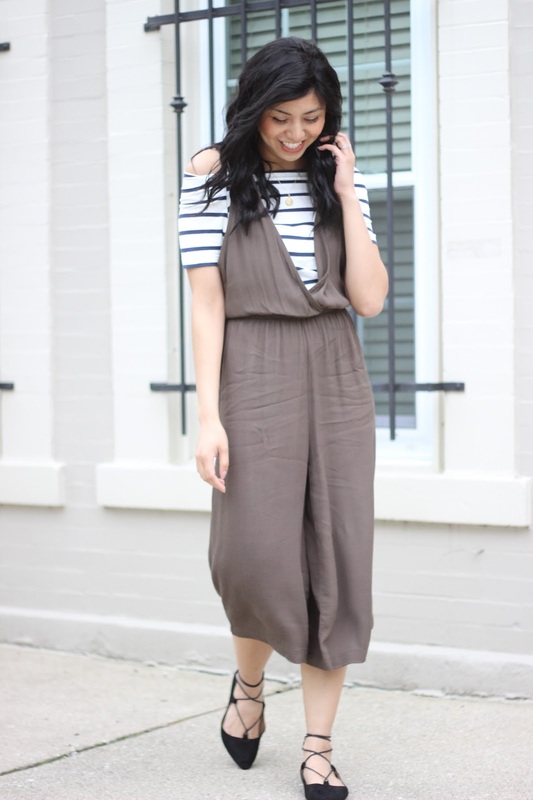 I'm loving the striped OTS with the idi jumpsuit; you wear the combination so well! 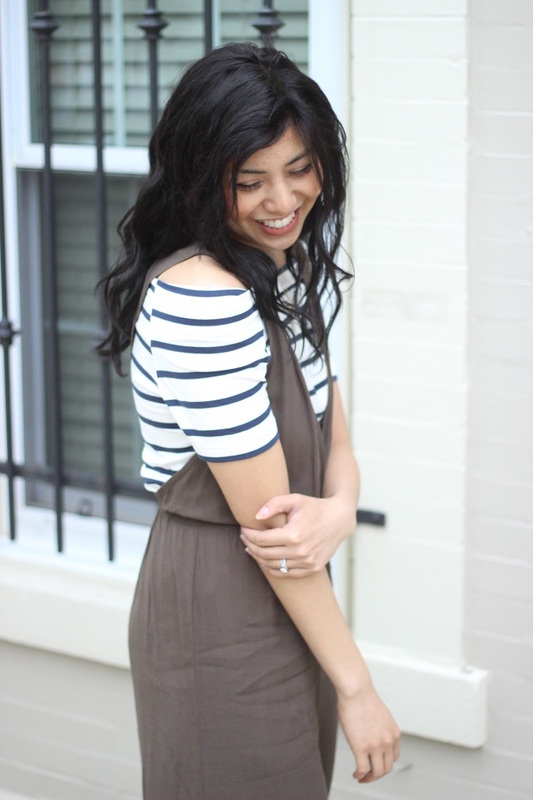 LOVE LOVE LOVE that you layered this jumpsuit over a t-shirt! it is seriously so cute and chic! Great look dear! The jumpsuit looks so fun! Love how you styled it! I just bought a midi jumpsuit! 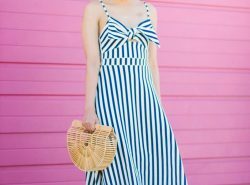 It's just as cute as a midi dress but so much more comfortable! Totally agree! Can't wait to see your jumpsuit! 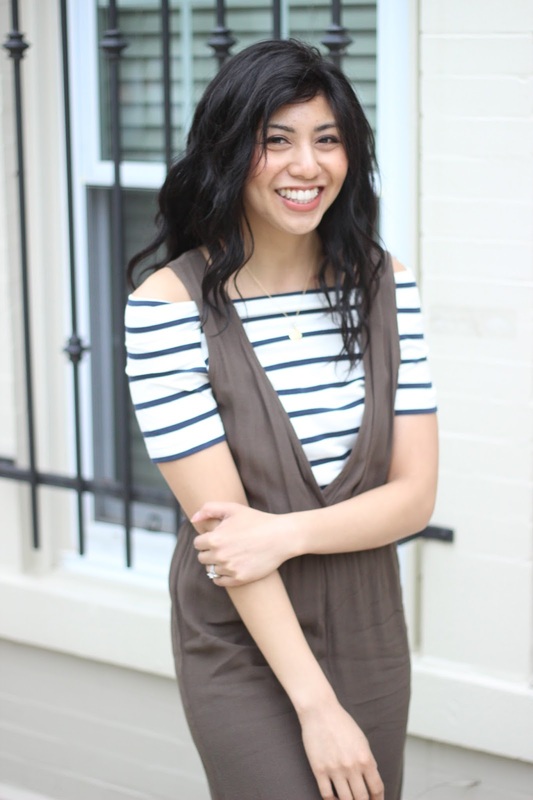 love the stripe shirt with you jumpsuit! very cute! comfy chic look, love this style. That jumpsuit has such a fun cut! And the color us super versatile. I hope you're having a great start to your week, Rach! Thank you Ivete! Hope your week is going well too! I like how you wore this with the off shoulder top. Great price on it, too! Love the way you layered that off the shoulder top under the jumpsuit. Gorgeous look lady! Loving your jumpsuit! Looks so comfy! Thank you Les! It is very comfortable! Such a comfy looking jumpsuit, it is so pretty! You are too cute!! And I love your jumpsuit. It looks perfect for a meal out or going shopping! This look is too cool, babe. Love the stripes with the jumpsuit! Beautiful jumpsuit! I love it with the off the shoulder stripes! And I love how you are always smiling in your photos. You have such a beautiful face and happy energy! Gorgeous jumpsuit, I love this outfit! I love this outfit!! It's so adorable!! 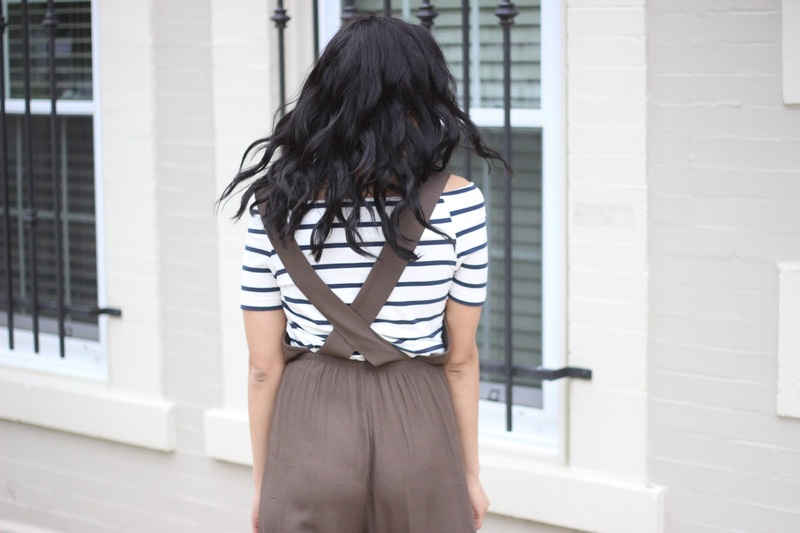 This jumpsuit is so cute with the off the shoulder stripes and lace up flats!! Love love! Absolutely fab!!! Loving this look! This is such an aborable jumpsuit Rach you are totally making me want to add it to my closet! I loveeeee it! You lool lovely as always!!! Great outfit, nice combo, seems comfy to wear, I love it, thank you for sharing!!! You look lovely! Love the shoes too!